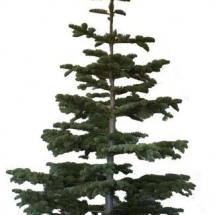 We sell six types of trees: Noble Fir, Douglas Fir, Grand Fir, Fraser Fir, Nordmann Fir and Silvertip. We had such a wonderful experience with Tina’s Trees. 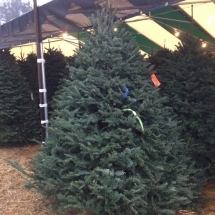 They have a large inventory to choose from, and their trees are beautiful….We will definitely be using Tina’s Trees again next year! Because of her fantastic customer service, she has gained another loyal customer. I am confident that she will resolve any issue that may come up, and that is invaluable. 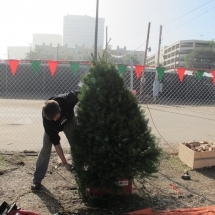 We bought 4 trees for our offices and Tina is a pleasure to work with. We buy from them every year. 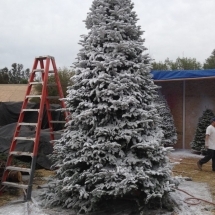 This place is the creme de la creme of Christmas Trees. I’ve only been coming here for two years, but it feels like a lifetime. The entire staff makes you feel like you’re apart of the family. Everyone is marvelous, and incredibly helpful. And the prices? 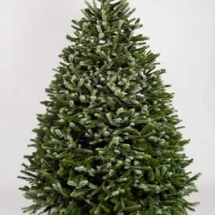 You can’t beat them for the quality of tree you’re receiving. 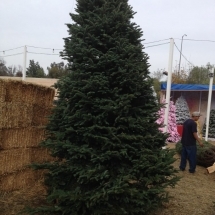 Just had my beautiful 6 ft Noble Fir delivered right to my doorstep. It looks amazing! The process was so easy, I called today and had it delivered a few hours later. Great service!